Former auto dealer, Rep. John Campbell, R-Calif.
WASHINGTON -- Rep. John Campbell, a California Republican who is a former auto dealer, said the House's independent ethics arm has recommended that he be investigated for possible violations involving fundraising. The Office of Congressional Ethics has been looking at whether members of the House Financial Services Committee created appearances of a conflict of interest by engaging in December fundraisers during votes on legislation to overhaul U.S. financial oversight, the office's documents show. 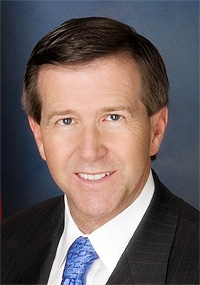 Campbell sponsored an amendment to the bill that exempted dealers from oversight by a new consumer agency that is to regulate financial products such as mortgages and credit cards. His amendment passed the House, and a modification of it was part of the sweeping legislation signed by President Barack Obama this year. In a statement today, Campbell said the independent ethics office, headed by two former congressmen -- one a Democrat the other Republican -- had completed its inquiry into his activities. The office had referred the matter to the House Ethics Committee for further investigation, the statement said. “I am perplexed by OCE's decision, as they have presented no evidence that would suggest wrongdoing,” Campbell said. “As one of Congress' most outspoken critics of the earmark system and the waste and corruption it engenders, I have worked to make Congress more transparent and accountable to the American taxpayer. “Any suggestion to the contrary is baseless and unfounded,” Campbell added. Campbell has said that, as an auto dealer, he held 11 franchises in nine Southern California locations. His spokesman declined a request for an interview with the lawmaker. The eight-member Office of Congressional Ethics is headed by David Skaggs, a former Democratic congressman from Colorado, and Porter Goss, a former Republican congressman from Florida. Three lawmakers including Campbell said yesterday that the office had recommended they be subjects of further investigation. Five lawmakers said their cases had been dismissed. A report from the office to one of the cleared legislators showed that it was looking into fundraising activity between Dec. 2 and Dec. 11, 2009. On Dec. 2, the legislation was passed by the House Financial Services Committee, of which Campbell is a member. On Dec. 11, the full House approved the bill. During that time frame, two fundraisers were held on Campbell's behalf, according to invitations obtained by and posted by the Sunlight Foundation, a nonpartisan congressional watchdog. One was a Dec. 8 lunch in Washington at which contributions were listed as follows: “$2,000 PAC host, $1,000 PAC, $500 individual,” according to a copy of the invitation displayed by Sunlight. A PAC is a political action committee. The other was a Dec. 9 California Wine Tasting in Washington at which checks of $500 and $1,000 were to be made payable to Campbell for Congress, a copy of the invitation shows.